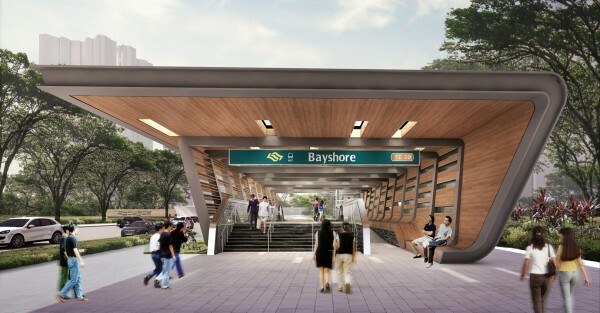 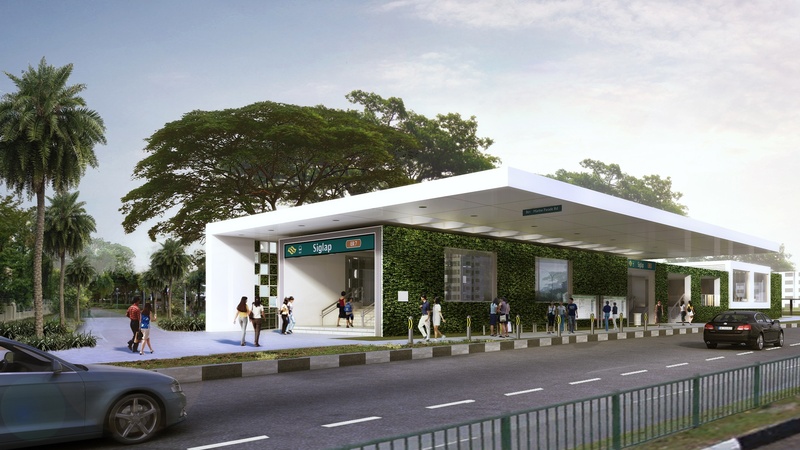 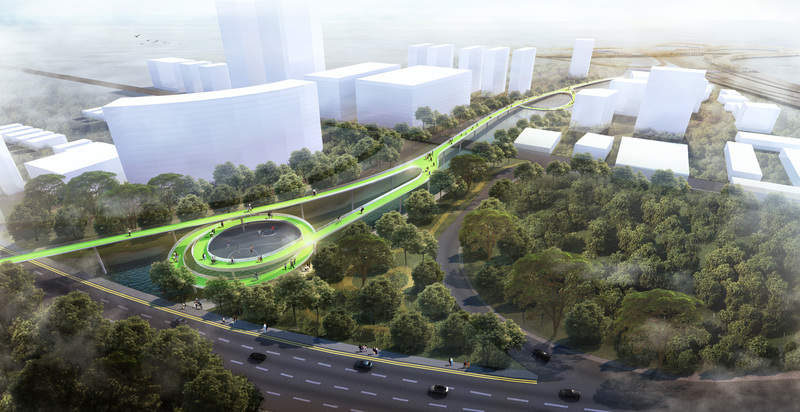 Drawing inspiration from the boulevard of trees that extends from the East Coast Park Expressway, the station entrances were designed to celebrate the canopied experience. 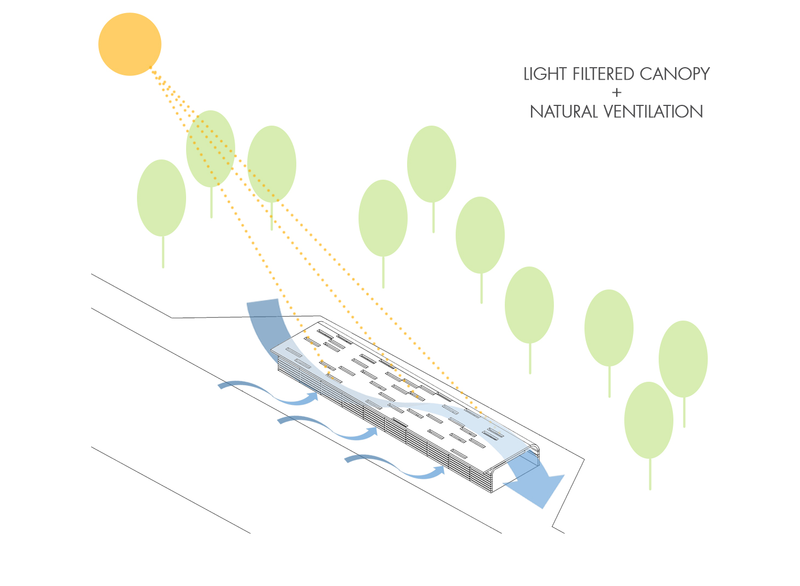 They will take the form of open pavilions where the roof serves as an overhanging canopy, the walls as screens, and the glazing as urban windows towards surrounding greenery. The station façade consists of an alternation of solid and void to recreate the rhythmic experience of light and shadow through the canopy.